The Blairite majority of Labour MPs will never be reconciled to Jeremy Corbyn’s leadership. Corbyn resoundingly won the second leadership contest they forced on him in 2016 but they go on looking for every opportunity to undermine, damage and remove him. Their slandering him as ‘antisemitic’, dredging up a two-line Facebook comment he made in 2012, is a continuation of this goal. Right-wing Labour MP Luciana Berger led the attack, suggesting that Corbyn had opposed the removal of an antisemitic mural in east London. Blairite MPs lined up to condemn the mural – which a 2015 Jewish Chronicle report described as under criticism for “antisemitic undertones” – and Corbyn by association. These included Chuka Umunna, Wes Streeting, Stella Creasy; and Liz Kendall of 4.5% fame – her vote when she stood against Corbyn for the Labour leadership in 2015. They do anything to try to hold onto their seats – including Luciana Berger who is threatened with deselection in Liverpool Wavertree – not stopping short of exploiting genuine fears of antisemitism. Corbyn responded that he “wholeheartedly” supports the mural’s removal. This didn’t stop the baying for blood by the Labour right, together with the Board of Deputies of British Jews and the Jewish Leadership Council, all intent on milking the slur as far as they could. Another was John Mann MP, who when questioned on the BBC’s Victoria Derbyshire show refused to say that Corbyn is not antisemitic. Derbyshire resorted to reading out a number of statements from Corbyn outrightly condemning racism and antisemitism and then said to Mann: “It seems to some that it doesn’t matter what he says, it’s never enough for people like yourself”. In his student days Mann didn’t even support the right of Israelis to their own state, countering our predecessor Militant’s support for a socialist Israel and a socialist Palestine with an insistence that there should be one capitalist state of both nationalities together. Adding to the right’s outrage was Corbyn sacking from the shadow cabinet another failed leadership contender, Owen Smith, for defying agreed policy by voicing support for a second EU referendum. The fact that Derbyshire said she couldn’t find a Labour MP to appear on her programme in defence of Corbyn, speaks volumes about the make-up of the parliamentary Labour Party. Those mainly right-wing MPs and the capitalist media don’t mind the facts when they can whip up hysteria against Corbyn and throw enough mud in the hope that some of it sticks. He is even blamed for Facebook posts he had nothing to do with. This onslaught must not be responded to in an apologetically defensive way, rather it should be energetically counter-offensive. Those who attack the Labour left as being ‘antisemitic’ sometimes concede that criticising the deeds of the Israeli regime is not antisemitic, but they also deliberately confuse the two issues by arguing that criticism of Israeli policy is used as a ‘cover’ for antisemitic views. This is an attempt to denigrate the Labour left and socialists, who oppose the Israeli occupation of the Palestinian territories while also opposing all forms of racism and antisemitism. Some on the left, in giving support to the Palestinians’ cause, have taken mistaken political positions regarding Israel (see article below), but no evidence has indicated that antisemitism is particularly commonplace in the labour movement. A recent study published by the Institute for Jewish Policy Research found a higher percentage of people with “at least one antisemitic attitude” among those who identify as ‘right of centre’ than among people identifying as left wing. During the Israeli military’s brutal wars on Gaza, Jewish groups were welcomed on the large anti-war demonstrations as participants and platform speakers, including by the overwhelming majority of British Muslims who turned out in large numbers. This unity in action strengthens solidarity with war victims and oppressed people abroad, and developing it will also strengthen working class struggles in Britain. Those using accusations of antisemitism to attack Corbyn and the left are seeking to divide and weaken the workers’ movement as well as to try once more to remove Corbyn. Antisemitism is certainly prevalent on the far right, and it is socialists and trade unionists who are at the forefront of countering neo-Nazi racism and antisemitism, not the Labour right. In Labour, the Corbyn wing and Momentum have supported disciplinary action in cases where behaviour is considered to be antisemitic, sometimes to an unwarranted extent even. In 2016 Momentum removed Jackie Walker – herself Jewish – from its vice chair position after a rabid media campaign was conducted against her for remarks she had made, despite Momentum recognising they were not in substance antisemitic. She was also suspended from Labour membership. The Labour right and Tories’ attitude on antisemitism is completely different when it comes from elsewhere. How much do they criticise Saudi Arabia, “whose mosques and education system have, for decades, spewed antisemitic venom of the kind the world has not been subjected to since the Nazis,” as the Spectator right-wing magazine described that country? When shadow foreign secretary Emily Thornberry moved a motion in parliament calling on the government to suspend its support for Saudi Arabia’s bombardment of Yemen pending a UN inquiry, over 100 Labour MPs wouldn’t even vote for it, including John Woodcock, John Mann, Liz Kendall, Wes Streeting and Luciana Berger. And while throwing accusations of antisemitism at the Labour left, they are silent on the laws going through the Israeli parliament which are blatantly racist against Palestinians who live in Israel, not to mention the forced West Bank displacement of Palestinians and other racist discriminations that are no less abhorrent than antisemitism. At last year’s Labour Party conference a new network, Jewish Voice for Labour (JVL), was launched at a fringe meeting of over 300 delegates and visitors to counter the attacks on the Corbyn wing being made by the ‘Jewish Labour Movement’ and other right wing-led organisations. 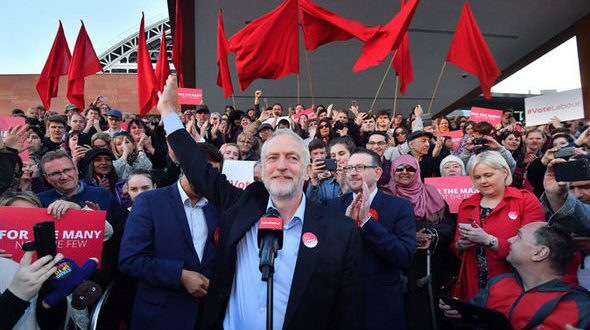 This propaganda fightback is welcome, but needs to be accompanied by demands and pressure for concrete measures to democratise the Labour Party, including reintroducing mandatory reselection – ie local selection contests for the party’s parliamentary candidates. The latest ‘antisemitism’ attacks by the right on Corbyn and the hysteria whipped up against him over ‘Russian nerve agents’ are not likely to succeed, but they are a further warning of the urgency of these measures. 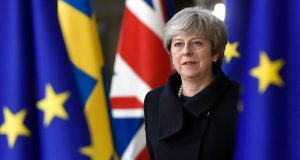 Significantly neither of the organisers of the “open letter”, the Board of Deputies (BDBJ) or the Jewish Leadership Council (JLC), specifically claim to represent all people of Jewish origin or faith in Britain, but they do like to give that appearance. Both bodies are, in effect, federations of representatives of Jewish organisations like synagogues, charities and political groupings. But these do not include people of Jewish origin who are not members of such organisations or those who are members of the rapidly growing Charedi (ultra-orthodox) Jewish community that currently number around 16% of Jews in Britain. Politically both the BDBJ and the JLC support Zionism and, effectively, seek to falsely equate opposition to Zionism with antisemitism. As the current JLC chair, Jonathan Goldstein, put it last year, “we showcase and take great pride in our historical connection and unbreakable commitment to our ancestral homeland, the state of Israel”. However, historically many Jews, people of Jewish origin and Jewish organisations were anti-Zionist. In 1917 the then BDBJ president wrote to the Times opposing Zionism because it regarded “all the Jewish communities of the world as constituting one homeless nationality”. There is no doubt at all that the Nazi mass slaughter of millions of European Jews in the Holocaust, the fact that many Jews trying to flee the Nazis were denied entry visas to other countries, plus the legacy of anti-Jewish riots and pogroms in European and Arab countries has meant that for many Jews, including some non-religious ones, Israel is seen precisely as the “ultimate refuge”. But this is not the case. The Socialist Party’s forerunners agreed with Trotsky’s warnings in the 1930s that the setting up of a specifically Jewish state on territory already lived in by non-Jews would produce a trap for the Jews who moved there. In Israel the Jewish fear of losing a war and being “driven into the sea” is constant. It reflects the fact that Israel’s creation has not been the solution to the threats facing Jews, something that our forerunners argued when opposing creation of Israel. Subsequently, however we recognised that, over decades since 1948, an Israeli nation and an Israeli working class had developed. This meant that, while constantly fighting for the full rights of Palestinians, the social and national questions facing the Israeli working class have to be addressed by socialists. Among the JLC founders were a number of Jewish capitalists who naturally, given their class position, opposed socialism. Until recently the JLC was chaired by Sir Mick Davies who in June 2017 was appointed chief executive of the Conservative Party. People of Jewish origin, like all peoples, contain within them all classes – capitalist, middle and working – and political positions. Internationally people of Jewish origin have been prominent in the workers’ movement. Indeed the Nazis attacked Marxism as part of a Jewish conspiracy, but at the same time in fascist Italy there were Jewish members of Mussolini’s Blackshirts until anti-Jewish laws were introduced there in 1938. Today it is capitalist and pro-capitalist elements who predominate within the BDBJ and JLC leaderships. This is why their “open letter” is not simply a criticism of Corbyn, it also aimed at socialists in general by condemning what they call “the far left’s obsessive hatred of Zionism, Zionists and Israel”. In carrying out this propaganda attack the pro-capitalist BDBJ and JLC leaders ignore the position of the Socialist Party, today the strongest Marxist force in the trade unions, and of our co-thinkers in the Socialist Struggle Movement, the CWI in Israel/Palestine. Instead they utilise the mistakes and stupidities of some individuals and tiny groupings to attack what they call the “far left”. We oppose the attempt to equate opposition to Zionism with antisemitism. Opposition to Zionism does not mean antisemitic opposition to Jews, those of Jewish origin or the Israeli working class. 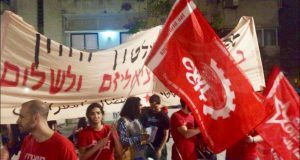 As in all capitalist countries, class struggles take place in Israel and we fully support the battles of both Israeli and Palestinian workers against capitalists and oppression. The Socialist Party and the Socialist Struggle Movement advocate that a “combined call for both nationalities to have the right to their own states on a socialist basis, with full rights for any minorities within them, is central. “On the one hand, it is a clear rejection of the coercion of either Palestinians or Israelis. At the same time, it argues for the overthrowing of capitalism that would open up the road to raising the living standards of all. “Moreover, while it cannot be ruled out that a common struggle of Palestinians and Israelis could lead to the creation of one state carrying through a socialist transformation, to get there it would be first necessary to recognise the rights of the two peoples.” (“Anti-Semitism, Labour and Momentum”, Socialism Today, Issue 203, November 2016). 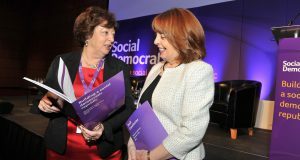 Social Democrats: Radical alternative or Labour mark two?